Looking for aquatics near Welsh Harp Nature Reserve? Our collection of products related to aquatics near Welsh Harp Nature Reserve is immense and growing. At Birchen Grove Garden Centre, we have one of the largest stores of Maidenhead Aquatics group and an 18,000 litre Koi display pond for the lover of marine beauty in you. This means you can expect to find the greatest variety of products and aquatic creatures when you visit us next for electronics and supplies for your fish and aquariums. Aquariums are one of our most selling products in the Maidenhead Aquatics store at Birchen Grove Garden Centre. While fish bowls are also loved by young customers who like to touch their goldfish easily, more serious keepers of fish like aquariums and display tanks of various specifications, all of which are available in our store. When it comes to fish, customers visit our facility for aquatics near Welsh Harp Nature Reserve to seek a variety of tropical, marine fish, and invertebrates. 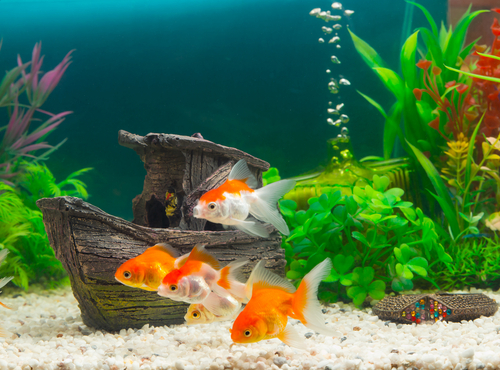 We have all these along with a wide range of spectacular Gold Fish, Koi, and Pond Fish. In our store, we maintain a steady range of aquatic filters and more sophisticated filtering systems for aquariums and tanks of all sizes and volumes. We have branded filter media kits, ammonia test strips, aquarium heaters for cold weather, canister filters, and much more to satisfy your cleaning needs for your pretty pets’ habitat. Visiting the garden centre’s aquatics store will open an avenue of choices for you. With all the great products that come with the Maidenhead name, we also have other reliable products that our customers have trusted of late. The fish and other aquatic animals we keep are bred in captivity and are ready to bring their beauty to your home and amaze your guests every time they look at your fish tank. Incidentally, fish tanks are now becoming a common element of office interior in the corporate world. Having a big fish tank in the waiting area makes the experience of waiting that much less dreadful for your visitors. The moving fish, their colours, and the beauty of decor in your tank can make your waiting room look beautiful and appealing. Besides this, we also stock a great range of office plants. Whether you are getting a new tank for your home or work or adding a new marine creature to your collection, do talk to our salespersons before you make your purchases. Our team members are experts in the preservation of the animals and can help you get the best combinations of pets and products for your tank. Tell them your preferences and they will guide you to the perfect products. Visit our store of aquatics near Welsh Harp Nature Reserve to get the best of fish and aquatic products.